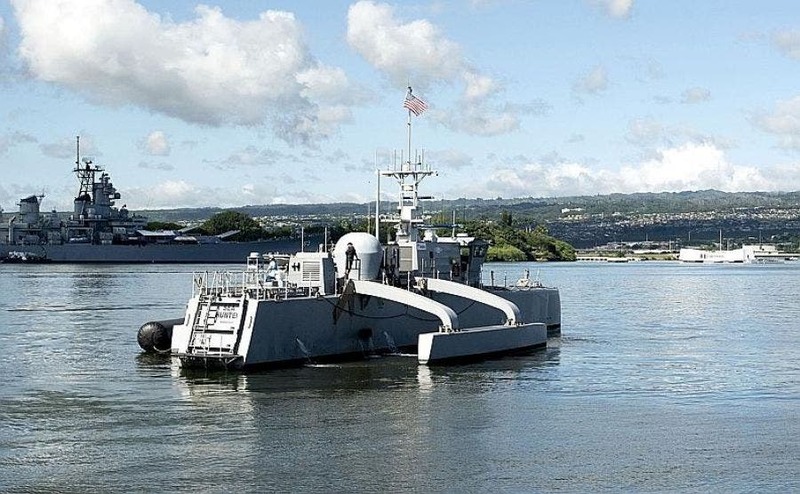 The Medium Displacement Unmanned Surface Vehicle prototype Sea Hunter arrives at Joint Base Pearl Harbor-Hickam, Hawaii, Oct. 31, 2018. Credit: U.S. NAVY. Emerging technologies such as artificial intelligence are fundamentally changing not only the way we communicate or do business, but also how we wage war. 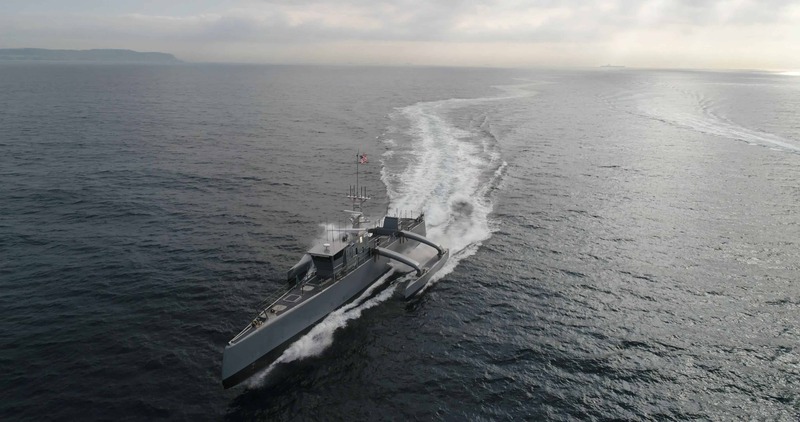 On the sea, the paradigm is shifting away from large manned combat vessels towards many small unmanned vessels, which might provide a tactical advantage. According to Defense News, the US Navy is looking for unmanned technologies to counter Russian and Chinese threats to its many assets — aircraft carriers. Traditionally, American aircraft carriers are flanked by heavily armed warships. However, these are becoming less adequate in the face of long-range, anti-ship missiles, among other things. Instead of a small fleet of large ships, the Navy is considering switching towards a very large, heavily distributed fleet of small unmanned ships that are controlled remotely or are completely autonomous. The enemy would thus be much easier to overwhelm with so many targets to consider. The fleet could also be widely dispersed, enforcing stricter sea control. Such a fleet would include both sensors and weapons that screen, detect, and counter a wide range of threats from aircraft to submarines. For instance, medium-sized unmanned ships will act as floating sensors that detect threats hundreds of miles in advance. Large unmanned ships, perhaps equipped with Mk.41 vertical-launch missile silos, will be capable of offensive maneuvers against both land and sea targets. Each ship would be controlled by a crew manning a conventional warship. How exactly such an advanced fleet will look like and operate is still at the concept stage. A glimpse of what the future might look like is in the form of the Sea Hunter, an experimental sea drone which has reportedly gone from a public to secret program. What we do know about Sea Hunter is that its 40 meters (132 feet) long and displaces 140 tons. The submarine-hunting, catamaran-style drone ship is capable of traveling up to 27 knots autonomously, carrying 20,000 pounds of cargo. Sea Hunter in operation. Credit: US Navy. In the not so distant future, perhaps all the world’s navies might sail without a single sailor on board.